The name Alex Ryan has become synonymous with quality trance music over the past ten years, both through his DJ’ing alongside some of the biggest artists in the trance world and through his promotion with various brands like Connect Ibiza and Filth club night in Ireland. 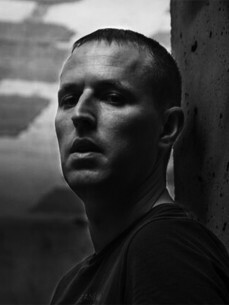 Alex became a regular name on the trance circuit in Ireland, initially through his residency with the Revolution crew and later with Trancelation, not to mention appearances for one of Ireland’s biggest trance nights Letrik, where he played along side many A-listers, including Eddie Halliwell, Jordan Suckley, Bryan Kearney to name but a few. Alex first dipped his toes in the promotion pool in 2006 when he teamed up with Hospital brand at top Dublin club The Academy (Formally Spirit). It was his next venture though that really propelled him into the limelight with his residency and launch of his own night in 2008, Filth. The brand quickly established itself as one of Ireland’s top club nights, with Alex playing alongside guests such as Bryan Kearney, Jordan Suckley, Kyau & Albert, and Indecent Noise to name a few. Filth went on to win Best New Club Night at the Irish Dance Music Awards in 2009, with Alex also being nominated for Best Resident in Ireland in the Club Eire Awards that same year. Whilst Alex was busy establishing himself as a top DJ and promoter in Ireland, he was also doing the same in his second home - Ibiza, where he has lived every summer since 2007. Beginning as a PR for some of the island's top brands like Cream - Amnesia, Tiesto - Privilege and Judgement Sundays at Eden he then went on to putting his endless amounts of energy into his own brands. Over the past few years he has been behind various recognisable Ibiza events and in July 2015 he teamed up with Dimitri De Wit to launch Connect Ibiza. Throughout summer 2015 Connect held 10 club nights at Privilege Vista Club and 12 boat parties, with club residents Markus Schulz, Paul Oakenfold and an a - z of trance & progressive artists providing the faithful followers with the perfect summer soundtrack. 2015 was indeed Alex's busiest summer to date with gigs at Full On at Space as well as residencies for Judgement at Eden and of course at Connect Ibiza boat parties & club shows. He also secured a peak time slot at Cream Amnesia´s opening party playing directly after Above and Beyond and back to back with old friend Vicky Devine, in addition to performing on the Legendary stage at Nature One Festival in Germany in July. In October 2015 he was signed to Twenty4Seven Artist Management which is home to the likes of Ferry Corsten, Aly & Fila, Marco V, Gabriel & Dresden, Giuseppe Ottaviani, Solarstone, Orkidea amongst many others. This lead to a string of gigs at Ministry of Sound London, Goodgreef at Panama in Amstsrdam, Goodgreef Cruise, Paul Van Dyk at Wright Venue Dublin, Digital Society debut in Leeds, Headline slot at N8 in Bonn, Germany, In Trance We Trust Dulbin and ferry Corsten + Aly & Fila at Wright Venue in Dublin. He has recently confirmed to play Nature One Festival in Germany for the 2nd consecutive year running with number of other bookings in the pipeline.